Since 2010, Advanced Media Publications LLC of Delray Beach, Florida has developed new marketing and advertising strategies for local businesses seeking to target a specific audience. The company utilizes innovative business and service directories, such as Yachting Luxury Lifestyle and Golf & Leisure, to target luxury clientele at both yacht and country clubs. 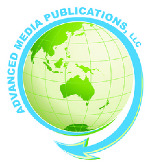 Advanced Media Publications LLC seeks to grow their business and the businesses of their clients through simple and affordable marketing strategies which provide clients with an opportunity to boost their visibility among a niche audience. Advanced Media Publications LLC provides customized advertisements with excellent artwork, graphics, and copy that deliver a return on any client investment. Even though the company’s publications target a wealthy audience, Advanced Media Publications LLC strives to keep costs low so each client can maximize their advertising budget. With a high customer retention rate and quality testimonials from businesses in Florida, New York, Texas, and California, Advanced Media Publications LLC seeks to put customers first in all aspects of the marketing process, from ad editing and approval to placement. Advanced Media Publications LLC is happy to answer any questions a potential client may have and can offer a tailored marketing plan that is right for any business. For more information, call an Advanced Media Publications LLC sales representative at (877) 340-8180.